Thanks a lot to Penguin Random House for my ARC of The Grey Bastards. It was a damn good read! War pigs. Orcs, Half-Orcs, and Three-Quarter Orcs. Elves that ride stags. Wizards, halflings, plagues, battles, and a lot (if you’ll pardon my pun) of fun, filthily enjoyable fantasy. 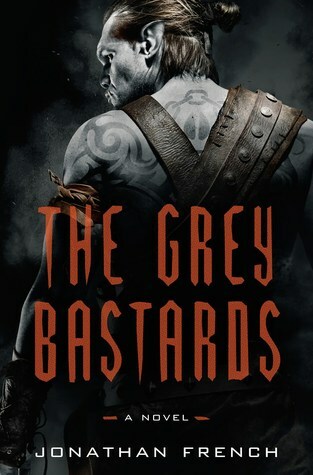 The Grey Bastards, Book 1 of The Lot Lands, is about Jackal, a half-orc who lives alongside his friends in their hoof, The Grey Bastards. Left on the outskirts of society because of their race, each member of the hoof is a half-orc that has sworn their life to patrolling the lot lands in search of orc invaders. The Grey Bastards are led by the Claymaster, an enormous old half-orc riddled with plague. Riding their trusty barbarians (giant war hogs), Jackal and his friends fight alongside other hoofs to protect humankind from being overridden. But after the appearance of a mysterious wizard and a pitched battle with the demonic Sludge Man, secrets are revealed and Jackal begins to question the Claymaster’s leadership. Jackal’s search for answers to the true nature of the Grey Bastards threatens to upend his life, along with the lives of his friends. 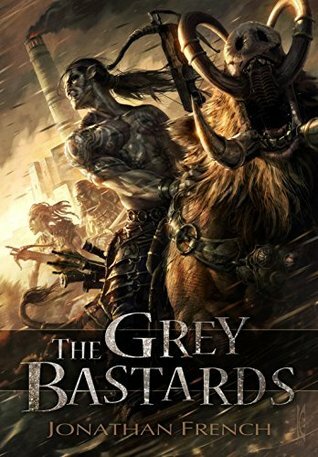 The Grey Bastards is one hell of a good read. I’d liken it to a similar vein of fantasy that Kings of the Wyld occupies: plenty of good myth and magic coupled with fun, endlessly entertaining characters. I found myself just as invested in the mythology and lore of the story, like the reason the Lot Lands came to be, with some of the lighter (and dirtier) parts of the story. Seriously, where do you sign up to become a slophead? If I got to take care of hogs like Hearth and Ugfuck, I’d join the Bastards in a heartbeat. Jonathan French’s writing is magnetic. Through battle and retribution, heartfelt moments, and no small amount of debauchery, French makes you feel as much a brother or sister of the Grey Bastards as Oats or Fetch. The pacing is perfect and keeps you enthralled from one moment to the next. Look for The Grey Bastards on Jun 19, 2018 published by Crown (Penguin Random House). I can’t wait for book 2! Great review and thank you. This one goes on the TBR list. Have a great weekend. Absolutely, and good to hear! Have a great weekend, yourself! I have a NetGalley copy to read, so I hope to start this in the next couple of weeks. So glad you loved it, I’ve heard great things. Also, how can you go wrong with a comparison to Kings of the Wyld? Yeah, anything compared to KoTW needs to be read ASAP haha. Let me know what you think! Loved this book, I had the pleasure of reading it the year I was a judge for SPFBO and I’m glad it ended up winning. The traditional publishing contract is well deserved! Absolutely! Cannot wait to see where book 2 leads us! Glad this was such a damn good read- I really want to check it out. I love the sound of the mythology and characters. Brilliant review! Thank you!!! Hope you can get to it soon. Look forward to seeing your thoughts!